The Walker Art Center bought the artwork Scaffold to include for the 2017 expansion and reopening of its Sculpture Garden. The sculpture raised considerable controversy as it was being installed, and when the Garden officially reopened, Scaffold was gone. The two-story tall sculpture included seven different historic gallows; it was supposed to be a commentary on capital punishment. However, the sculpture’s most prominent feature was a gallows representing the one used to hang 38 Dakota men in Mankato in the wake of the 1862 Dakota-U.S. War — the largest mass execution in U.S. history. Minnesota is Dakota homeland. Neither the artist nor the Walker thought to ask Dakota people for their reaction. “Scaffold” sculpture will be removed from the Walker Sculpture Garden. As Scaffold was being erected, Dakota people and their allies protested the artwork. The Walker and the artist Sam Durant both issued public apologies for not being aware of how this would affect the Dakota community. The Walker agreed to remove the sculpture following mediated talks with Dakota elders. The wood from the sculpture was given to the Dakota people. Months after the controversy calmed down, Olga Viso resigned as Walker’s executive director. The Walker committed to seek institutional changes so this kind of decision doesn’t happen again. The Walker began discussions with Dakota artists about a piece of artwork either to replace Scaffold or to exhibit elsewhere on the Center’s campus. As of early 2019, the Walker began taking proposals from indigenous artists. The issue of cultural appropriation is not unique to the Walker. Many institutions lack diverse voices in leadership that could help flag problems and be more inclusive in decision making. July 7, 2017: Walker’s Latest Controversy with Native American Community Members: How Will it Embrace the Moment? June 1, 2017: Will Walker Embrace Institutional Changes in the Wake of “Scaffold” Controversy? 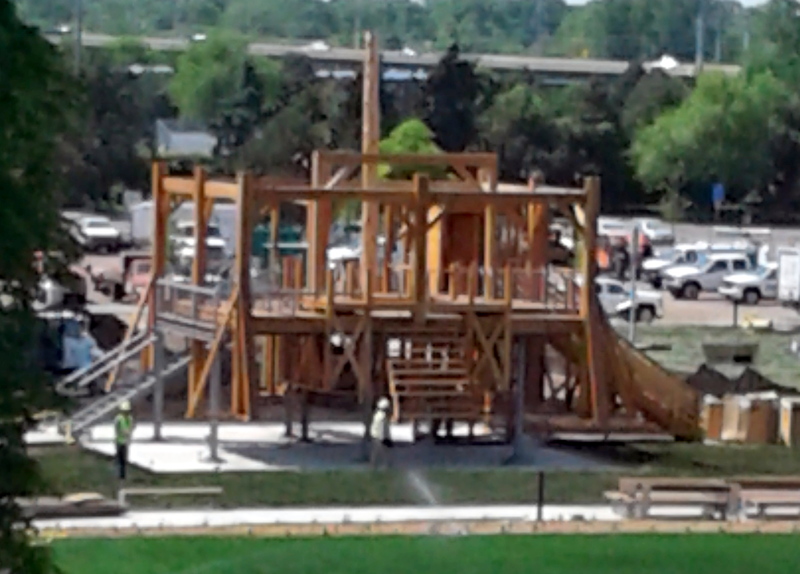 May 31, 2017: Please Attend Ceremonial Deconstruction of “Scaffold” at the Walker Sculpture Garden, Friday at 2 p.m.